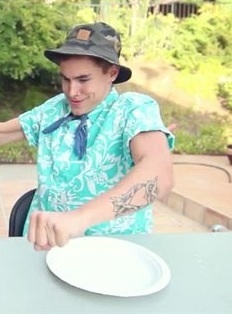 Kian's kepiting face!!!. Video: Hunger Games: Jc Caylen vs Kian Lawley.///make sure to watch it!!. Wallpaper and background images in the Kian Lawley club tagged: photo. Video: Hunger Games: Jc Caylen vs Kian Lawley.///make sure to watch it! !